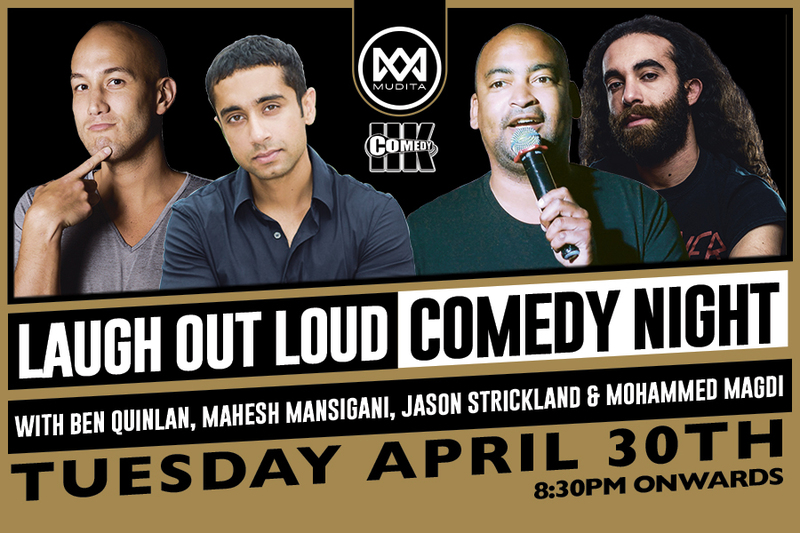 We are back for another night of laughing out loud as we’ve got a line up of the best of the best comedians in Hong Kong featuring, Ben Quinlan, Mohammed Magdi, Jason Strickland and Mahesh Mansigani. Book your advance tickets now to secure your spot, and enjoy the evening with a drink (or more) in hand. 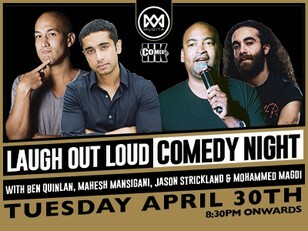 Hailing from an Australian father and Chinese mother, Ben Quinlan is a Hong Kong born and raised stand-up comedian. Ben has headlined at major comedy clubs around Asia, including Hong Kong, Singapore, Shanghai, Kuala Lumpur, Bangkok, Manila, and Taipei. He appeared on Comedy Central’s Stand-Up Asia! Season 2 and was the winner of the 2017 Hong Kong International Comedy Competition. Ben has also opened for a number of international comedians on their Asian tours, including Russel Howard, Kevin Bridges, and Doug Stanhope. He sold out all of his past eight 1-hour comedy specials in Hong Kong. Aside from wearing his comedy hat, Ben is a regular TEDx speaker and a prominent keynote presenter at major financial services conferences around the world. He is regularly interviewed by leading financial news channels (including Bloomberg, Reuters and CNBC) as the CEO of his own strategy consulting firm, Quinlan & Associates. Ben’s unique corporate and comedy background has seen him featured on a number of leading international media publications, including SCMP, TimeOut Magazine, XXIV Magazine, IFR Asia, and eFinancialCareers. Based out of Shanghai, China. Mohammed Magdi has been in the Asian comedy circuit for more than 5 years, building a name for himself, headlining rooms around Asia and working with comics like Mark Normand, Paul Ogata, Ari Shaffir and Sean Patton. Mohammed had also toured with his show Brown Mirror in 12 cities across 7 countries since summer 2018, ending the year with a massive gig opening for Gad Elmaleh at a 1000 seats sold out show in Shanghai, and then opening for the legendary Jim Gaffigan in Shanghai in March 2019. Mohammed is the winner of the 2017 Bangkok International Comedy Festival and two times finalist of Hong Kong International Comedy Festival. He's also been featured on Comedy Central Arabia.